This is its official website. View the complete list of features here. 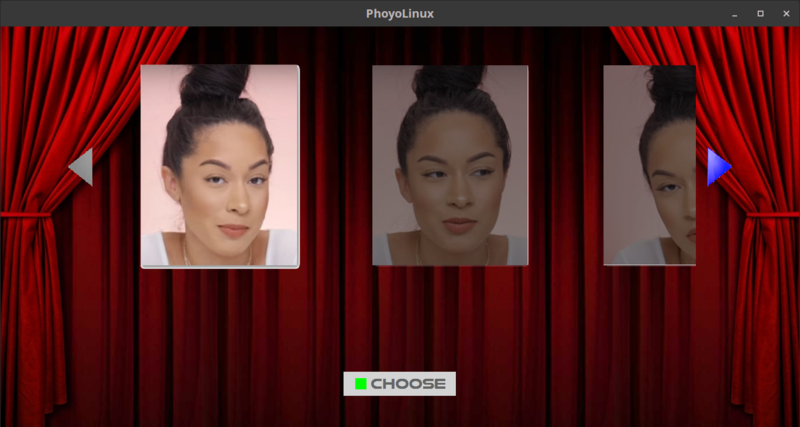 Whether you are a professional, an amateur or a casual user, Phoyo provides you with the software tools you need to run your photobooth installation. You can further enhance the user experience with the many customization options available. 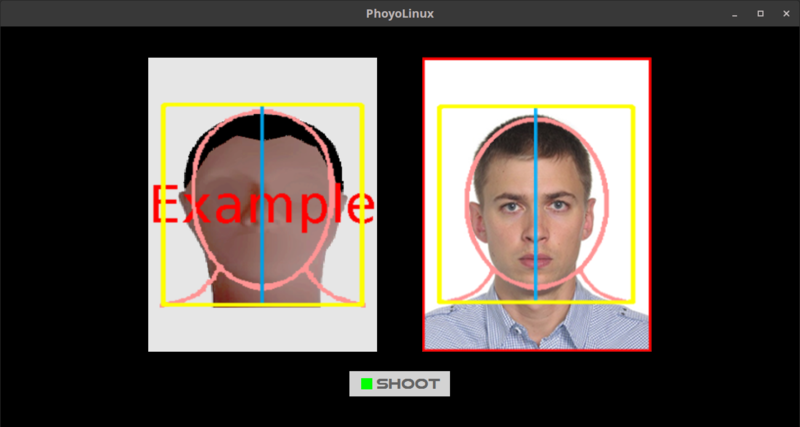 The Phoyo software automates digital photo booths such as kiosks or vending machines. It works with a camera and optionally a printer, a coin device and an Internet connection. Phoyo Windows version is certified to work on Windows 7, Windows 8 and Windows 10 editions. The linux version has been tested on Ubuntu and some of its derivatives (Linux Mint, Lubuntu). 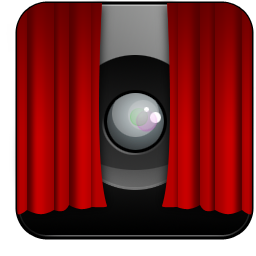 With the video preview feature, users can watch themselves before the shooting phase. This makes it possible to view a generally less detailed version of the final picture and correct its position before finalizing the photo session. The photo sessions are interactive. Touchscreen signals, keyboard keys activation, or mouse clicks can be received as input. A virtual keyboard is also available for text input, allowing users to conduct their photo session satisfactorily. The webcams have a low cost and a great flexibility. Despite the low cost, the resolution is often impressive, reaching for some models 1920 × 1080. Phoyo works with all kinds of webcams, whether integrated or external. Digital SLRs (DSLRs) generally perform well in low light conditions. This makes them ideal for indoor photography where the brightness is usually low. Phoyo supports many models (Canon, Nikon, Sony, …). The Phoyo photo booth software can print directly to any type of printer supported by the operating system. However, note that inkjet and dye sublimation printers are more suitable for printing photographs. Phoyo allows users to send their photos them by email. Providing access to the final pictures can be achieved in several ways: storage on a local disk or on removable media, transmission on centralized servers, etc. The File Transfer feature allows you to configure such custom picture delivery methods. Phoyo features a vocal user interface that can provide guidance by generating voice prompts. Although not mandatory, this definitely enhances the user experience. Coin acceptors can automatically collect payments using simple coin detection principles. They analyze each piece based mainly on the weight and the size. Phoyo can connect to such devices. The Photo Execution window can occupy the entire display area available on the screen for a more professional look and feel. Image effects are algorithms that transform your pictures to add an artistic look or simply produce a better picture. Chroma key, distortion, blur, lighting and many other effects are available in Phoyo. 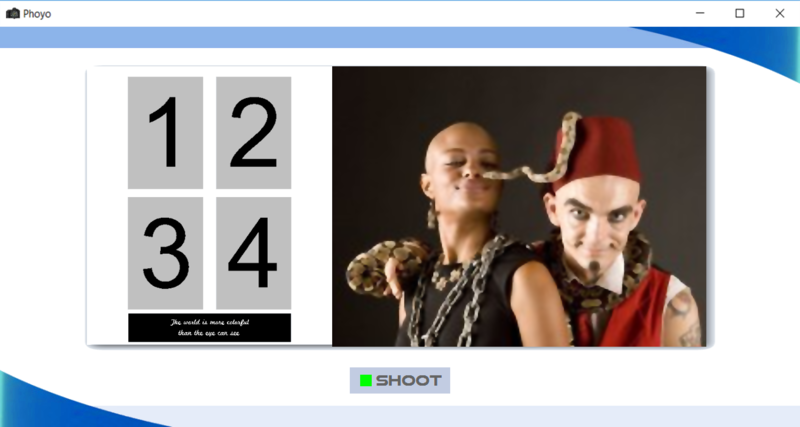 Many picture templates are available in Phoyo. 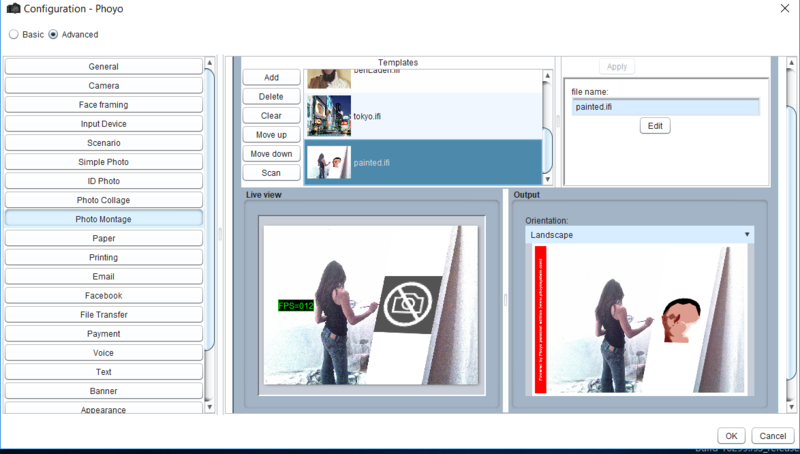 You also have the possibility to create new ones by merging images, combining filters, in short by expressing your creativity through the template editor. Easily capture stunning endless video loops encoded in the popular GIF format and share them on Internet (video websites, image websites, etc). Add funny effects and more. Phoyo allows you to take pictures of people transposed in virtual decors using the chroma key technique. This is a visual effects/post-production technique for layering two images or video streams together based on color hues (chroma range). Your photo in an official document (passport, identity card, …) must meet several standards depending on your country. Nowadays, all these standards are usually based on biometric passport standards. Phoyo integrates the support of these standards. In order to adapt effectively to different hardware and offer a user interface appropriate for the context of use, Phoyo provides many configuration options. 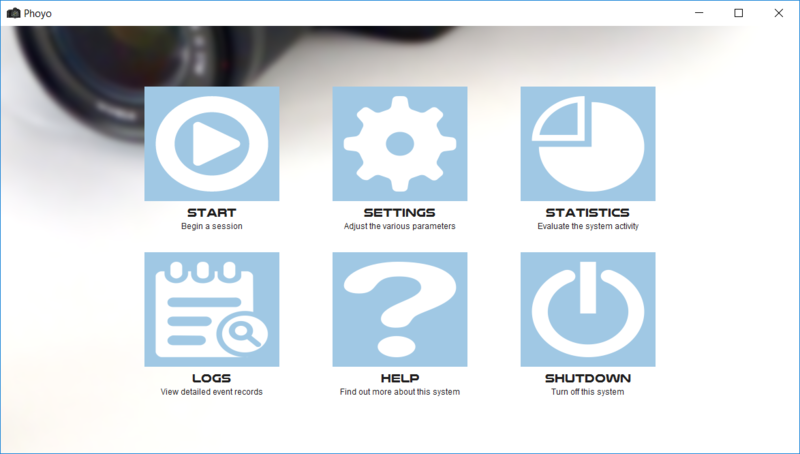 You will be able to modify the operation of the software, change colors, messages, images, etc. Re-download from our site if you have any doubts. NOTICE: Phoyo is not yet digitally signed. For this reason it may be blocked by some anti-viruses. 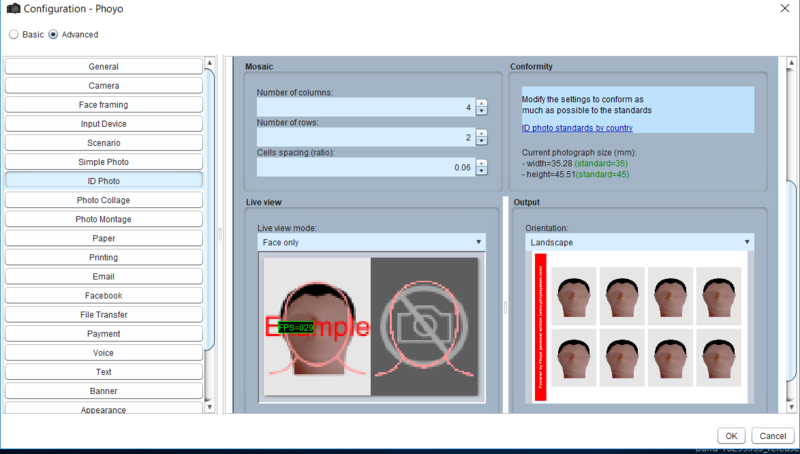 PhoyoID is a free (open source) graphical user interface that helps to print photographs that conform to the biometric passport standards. No need to use a public photo booth anymore if you have this software, a printer and the appropriate paper. Use the forum for technical questions. For any other question or inquiry you can email us.